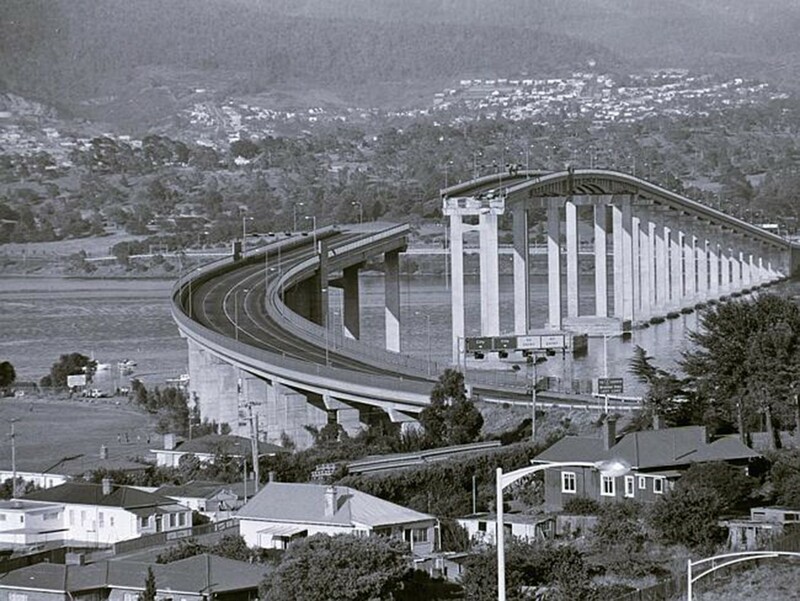 the sole bridge link between the eastern and western shores of Hobart. After the bridge re-opened, International Catamarans Pty Ltd specialised in the construction of fast ferries. After extensive research the company commenced specialisation in aluminium construction. 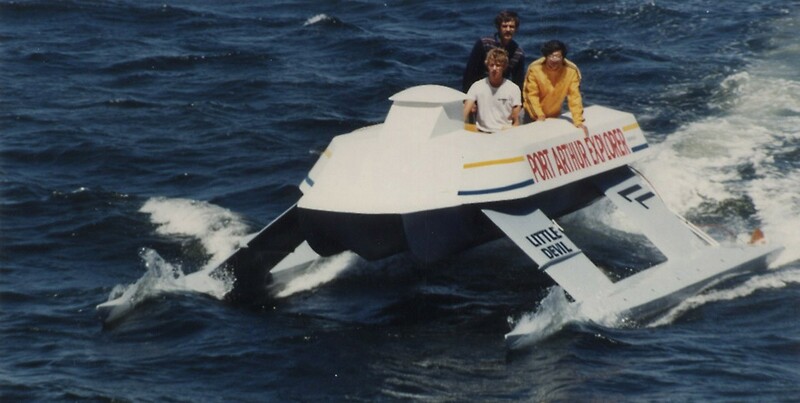 In 1983 the wave piercing design was conceived, the 8.7 metre prototype craft Little Devil (013) first undergoing trials in 1984. 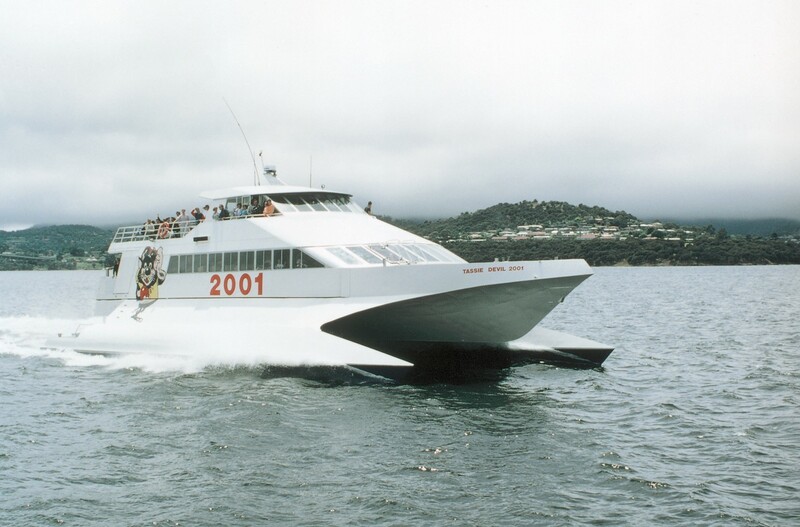 The results encouraged International Catamarans to proceed with a 28 metre Wave Piercing Catamaran (WPC), Spirit of Victoria (016), which entered commercial operation in mid 1985. Tassie Devil 2001 (017) was launched in December 1986. The current range of WPC still reflects the characteristics of these early craft. The Incat group of companies is privately owned, with shares held by the founder and chairman of the board Robert Clifford, the Clifford family, company directors and employees.